Learn to make Orange Olive Oil Muffins Recipe Video | Eggless Olive Oil Muffins with an easy video instruction. 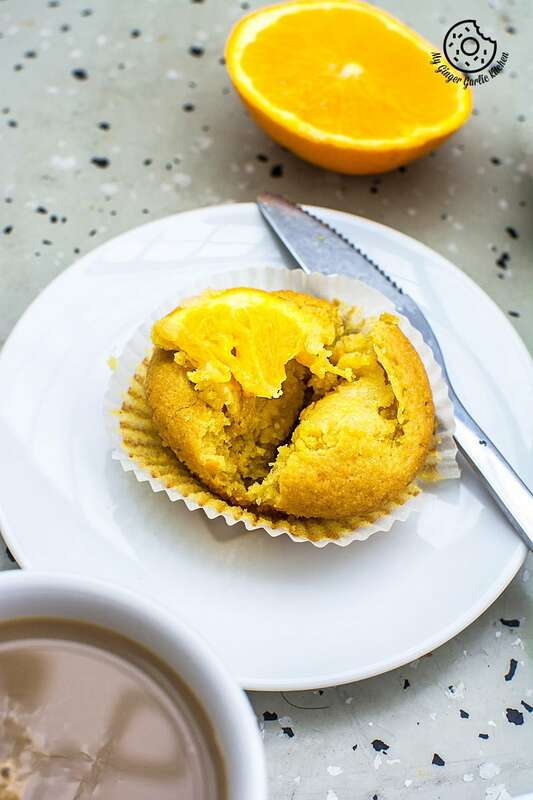 Eggless Orange Olive Oil Muffins are bursting with excitingly delicate flavors and the texture is so light and airy. They are VEGAN and Butterfree. And as the saying goes, the best preparation for tomorrow is doing your best today. Because the truth is you don’t know what is going to happen tomorrow. Life is a crazy ride, and nothing is guaranteed. 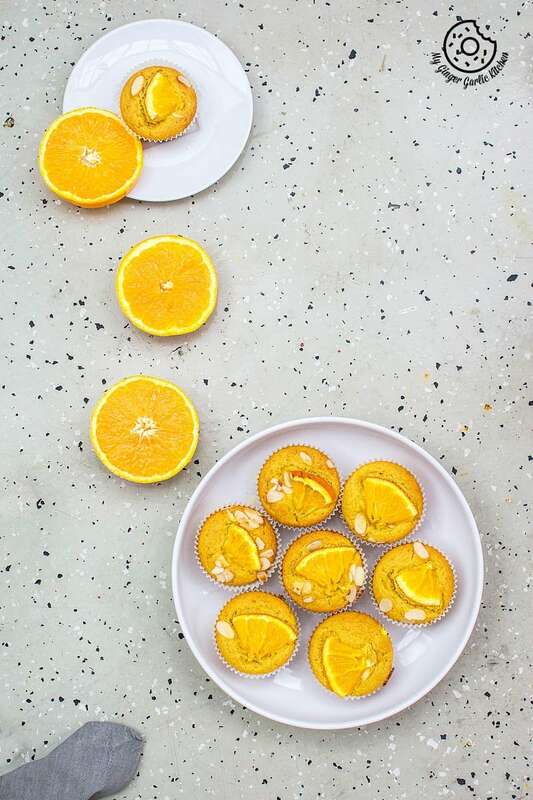 That’s why I decided to share this vegan, healthy, and citrusy spring-tastic muffins today itself. Let’s talk about the goodness of these orange beauties. 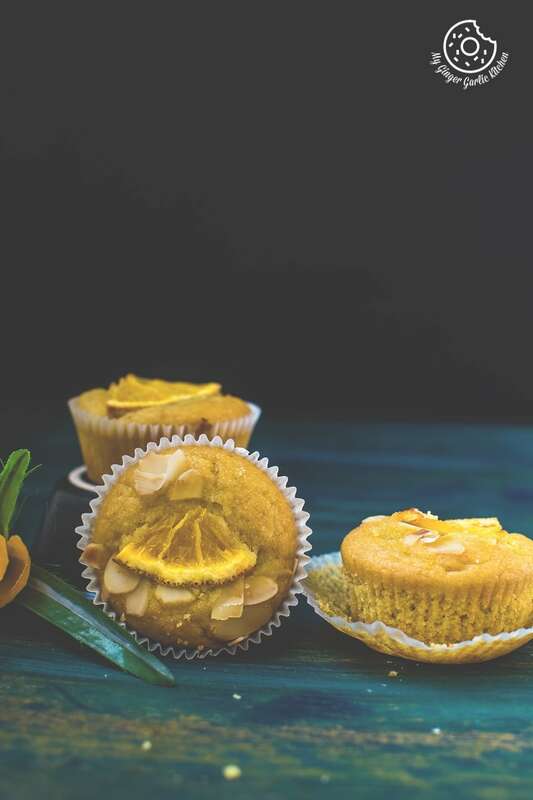 As it is getting warmer and brighter, I find myself craving for these citrusy muffins. 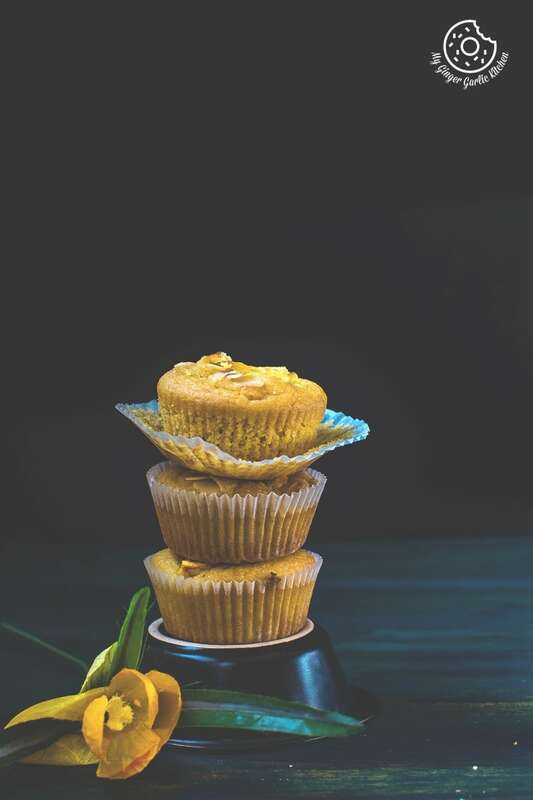 The Eggless Orange Olive Oil Muffins are bursting with excitingly delicate flavors and the texture is so light and airy. Olive oil and orange juice turned into moist muffins are the ultimate amalgamation of intoxicating and sweet-scented flavors. They are moist and fluffy. I love the coarse texture of the semolina in these orange muffins which make them slightly different in such a good way. 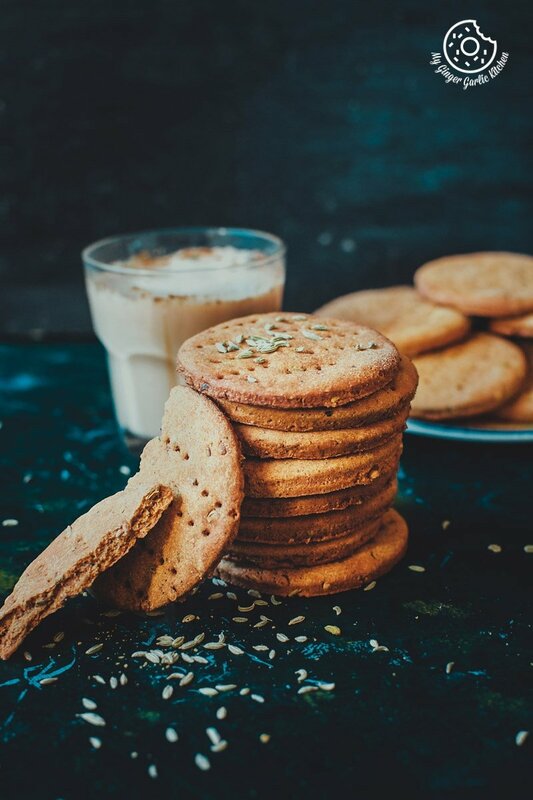 They can be your favorite comfy breakfast, brunch or tea-time snack. 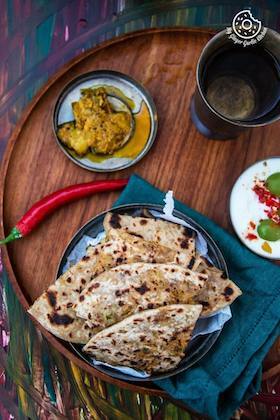 I personally love them warm for brunch, along with some hot coffee/tea. I only added freshly squeezed orange juice to these muffins, but you can also add some orange pulp to make them zestier. 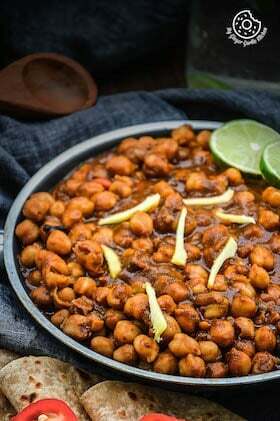 Eat them warm or cold, they will taste ah-mazing either way. 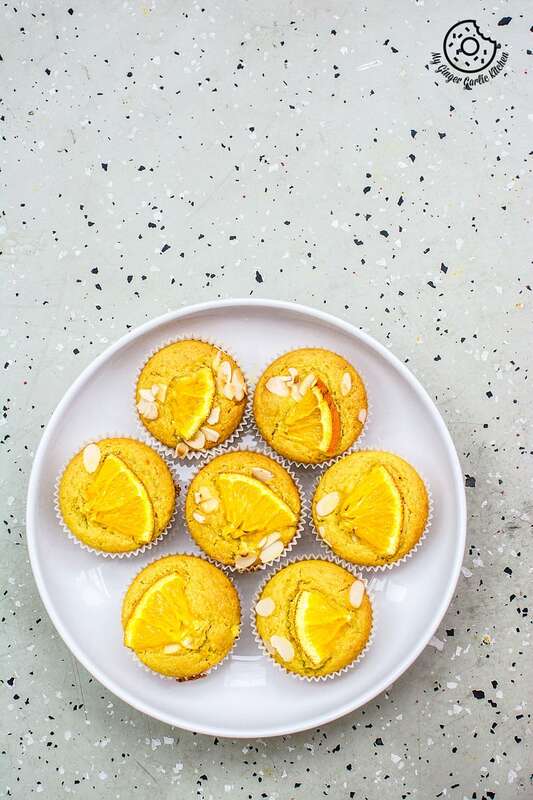 The good thing about these is that you don’t really have to spend too much time in the kitchen to bake these Orange Scented muffins. Making them is a fuss-free job, and they don’t require so many ingredients. They are certainly for you if you’re craving for some healthy sweet baked goodies to enjoy over the weekend. 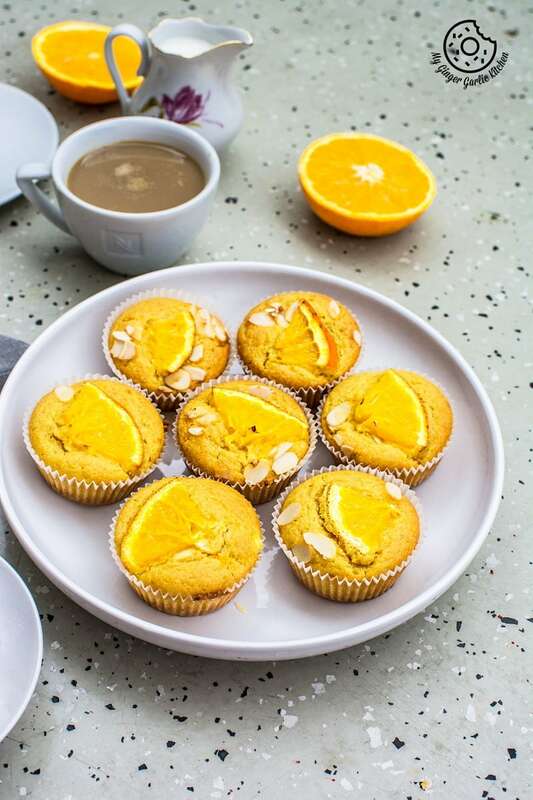 So, during this weekend, treat yourself to these vegan Orange olive oil muffins. 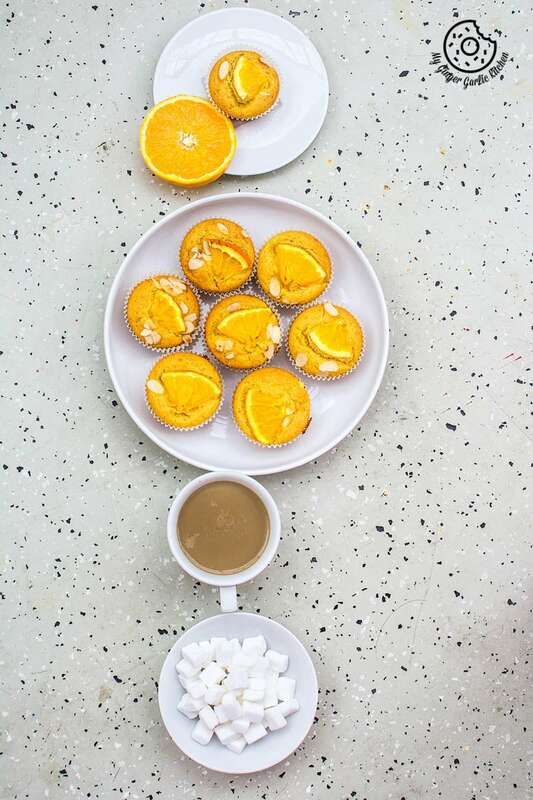 Here is how to make these fluffy Eggless Orange Olive Oil Muffins. Below are the instructions, enjoy! 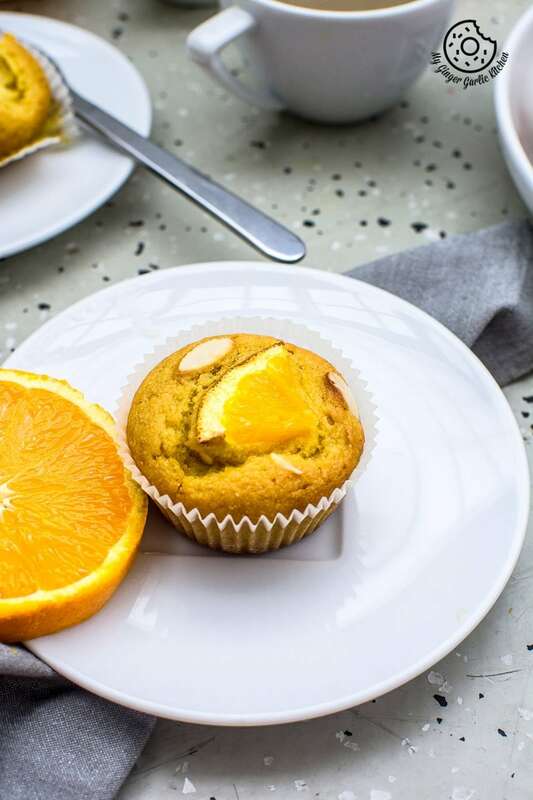 Eggless Orange Olive Oil Muffins are bursting with excitingly delicate flavors and the texture is so light and airy. 2. Line or grease muffin tins and set aside. 3. In a large mixing bowl, whisk together the wheat flour, salt, baking powder, baking soda, and semolina. 5. In a separate bowl/jug, lightly beat the juice, buttermilk, olive oil, sugar, and zest and whisk well to combine. 6. Pour the wet ingredients into the dry and mix well until combined. 7. Pour batter into paper-lined muffin cups, filling each cup about ¾ full. 8. Top with almond and orange slices. 9. Bake in the preheated oven at 350°F/175°C for about 20-25 minutes. 10. Do a toothpick test; if the toothpick inserted into the center of a muffin comes out clean they are ready. 11. Let them cool slightly in muffin tray for few minutes. 12. 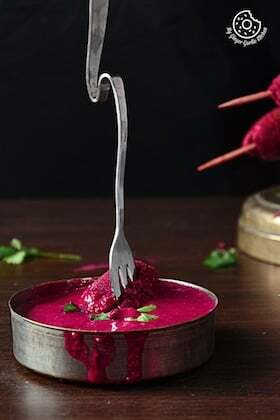 Then transfer them to a wire rack and let them cool slightly before serving.